Unless you are a well-established business, you do not need to buy premium WordPress plugins. Besides that, this guide is focused mainly on beginners. That being said, we did our best to bring you with free but quality Plugins for WordPress website maintenance. In case, you are in the initial phase of your online venture, using free plugins to fulfill the basic maintenance needs of your website will be sufficient. Now, every website regardless of its size mainly requires three distinct forms of essential housekeeping efforts. The first of these requirements is about making regular backups of the website. The second one is about running security checks for the website. While the third one is about optimizing the website for performance and SEO. We know, it sounds cool to have an all-in-one (AIO) plugin for your everyday WordPress maintenance needs. 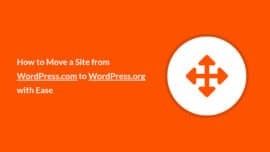 In view of that, WordPress.com has released for free on WordPress.org, its ultimate toolkit with basic features. JetPack covers all of the maintenance features from regular backups, security to website optimization, monitoring and alike. Premium subscription provides even more features like analytics, SEO, WordPress themes, support and many more. As much as it sounds great for all-in-one plugins, beginners don’t need that many features for their website. It is true and we believe as well that plugins should not become a Swiss Army knife. One plugin should only address one problem in its domain. Therefore, in this guide, we provide you list of the plugins best in their specific domain. These plugins we use in our small to medium projects because of their amazing free features. 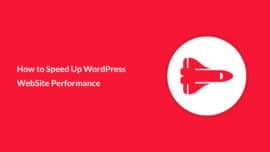 UpdraftPlus WordPress Backup Plugin is trusted by over two million WordPress users. We have used this plugin for many of our client’s websites. 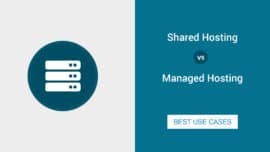 This plugin provides you with the option to choose from a range of storage platforms, while it stores the data on the hosted server as well. 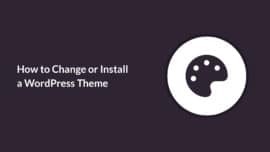 iTheme Security plugin is released by popular iThemes, a premium WordPress products agency. Their plugin offers over sixteen free general security features like File Change Detection, Local and Network Brute Force Protection, WordPress Salts among others. Anti-Malware Security and Brute-Force Firewall is another highly recommended free plugin. This plugin allows you to run a scan of your website and automatically removes known security threats, backdoor scripts, and database injections among other features. WPS Hide Login allows you to change the URL of your WordPress Admin. So, using a custom URL will reduce chances of brute force attacks on your website. Speed and performance of the website are one of the crucial factors in your online business success. All your designing, development and marketing efforts are in vain if your website doesn’t load fast. Considering that, let’s discuss two of the important type of optimization plugins. Caching the contents of the website increases the site performance by serving up the pages to the end users quickly. As a WordPress user you don’t need to go in depth to learn about caching. You can use W3 Total Cache to benefit from it’s free caching features like speed and SEO optimization and website resource minification. Images are one big factor which can hinder your website performance. Considering that, you can use Smush Image Compression and Optimization plugin to optimize your images for better website speed. This plugin will automatically analyze all the images in your website and let you optimize the images either individually or all of the images hosted on the website. Other than the essential plugins discussed above, you can use the following plugins to make your website more secure and optimized. In case, you are using an SSL certificate on your website, which we recommend that you must do. Considering that, you can use Really Simple SSL Plugin to enforce every link in your website to communicates over a secure connection using SSL. One another useful plugin is Regenerate Thumbnail Plugin. This plugin allows you to regenerate new thumbnails of all of your images after deleting the old ones. This amazing plugin is the product of late Alex Mills who passed away losing his battle with Leukemia. We hope you will find this post a useful resource for you. If you like this guide, don’t forget to share your feedback, subscribe and spread the word. In fact, we will greatly appreciate it by saying… Thank you! WordPresser, born introspective, WC speaker, aspiring writer, fitness buff, wannabe paraglider, an enthusiast of JS / FOSS / Cloud / DevOps.